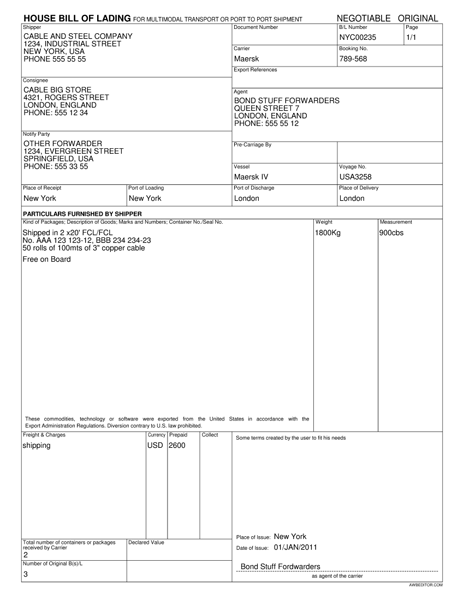 Create and print IATA Air Waybills, manifests, dangerous goods declarations, labels, bills of lading. And create and transmit eAWBs/FWBs/Cargo-IMP messages. 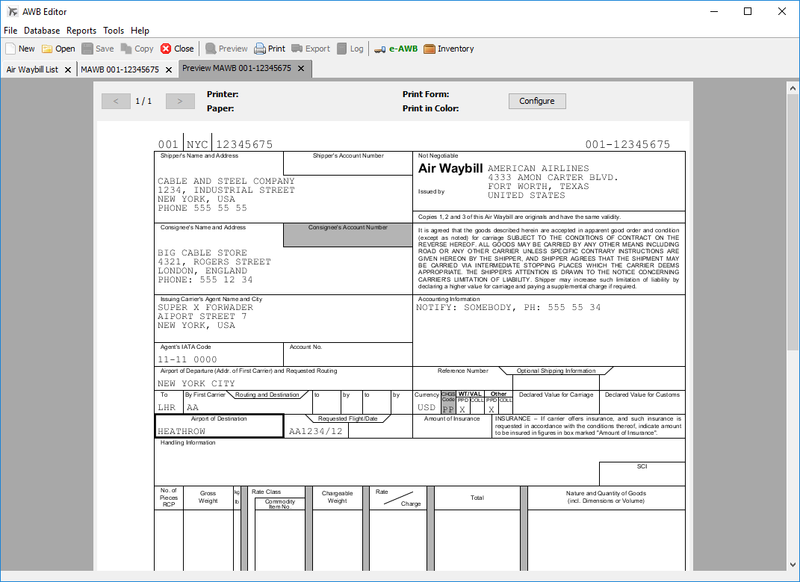 AWB Editor is an easy to use program to create and print various air freight related documents. 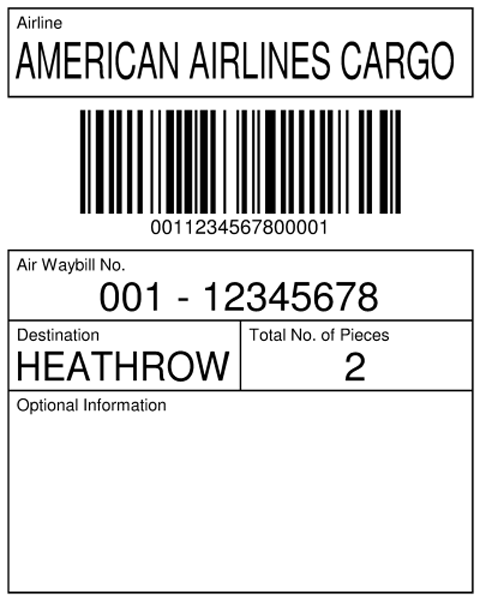 It can print AWBs both on pre-printed forms using a dot matrix printer and on blank paper using a laser printer. 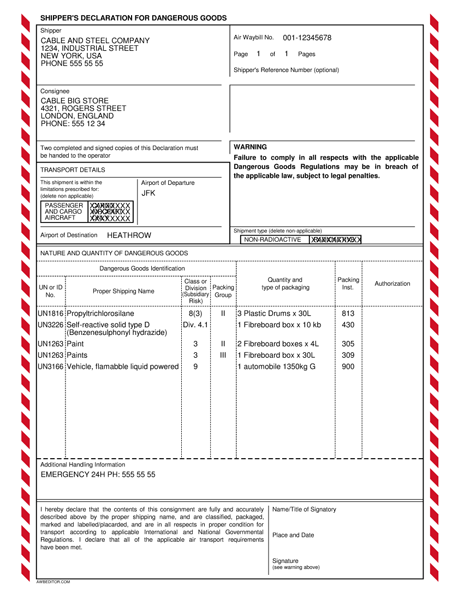 And also supports other documents such as manifests, dangerous goods declarations, barcoded labels and bills of lading. 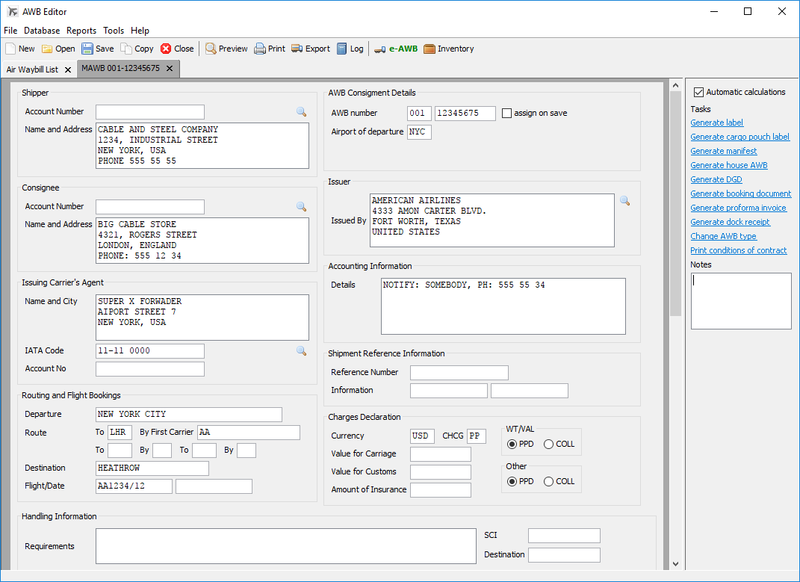 Ready for the new times AWB Editor can create and transmit eAWB/FWB/Cargo-IMP messages. 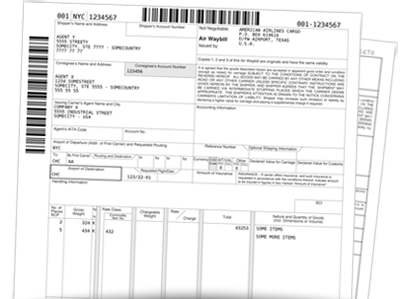 Electronic forms in AWB Editor are similar to the paper forms making the transition really easy. 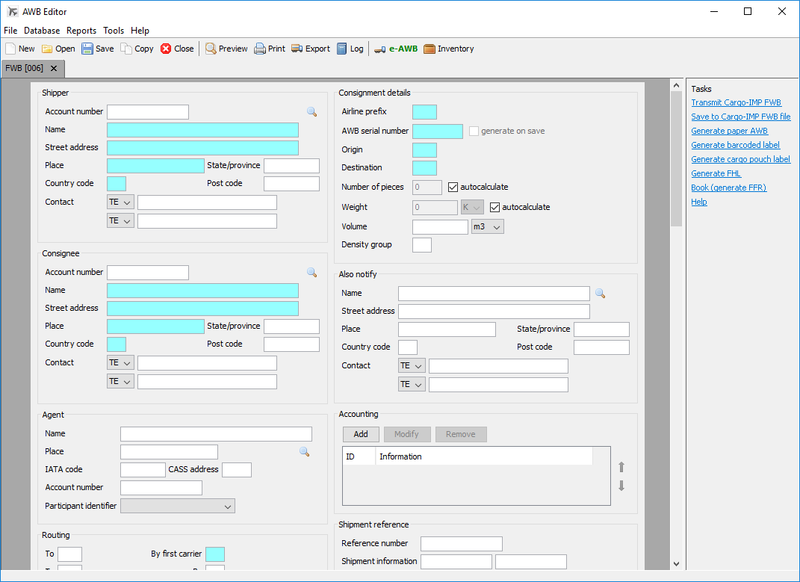 Web AWB Editor is the latest version of AWB Editor that runs on web browsers; it requires no installation and it can be used from any computer where an internet connection is available. You can try Web AWB Editor with a single click, without having to install anything or register. You can register if you wish, this will make it possible to log in again and access your saved data and if you decide to start using the service you can do it with that account. 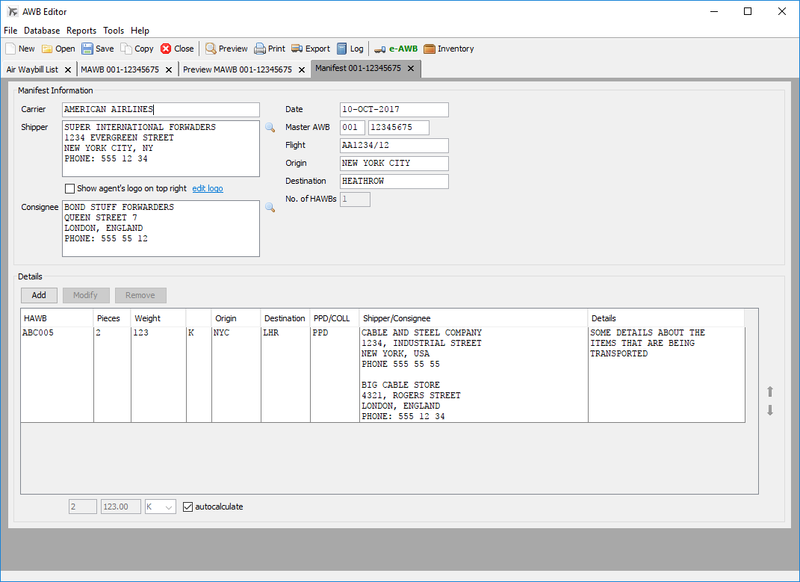 The classic version of AWB Editor which runs as a standard desktop application, it is compatible with Windows, MacOS and Linux. It can run without access to the internet. 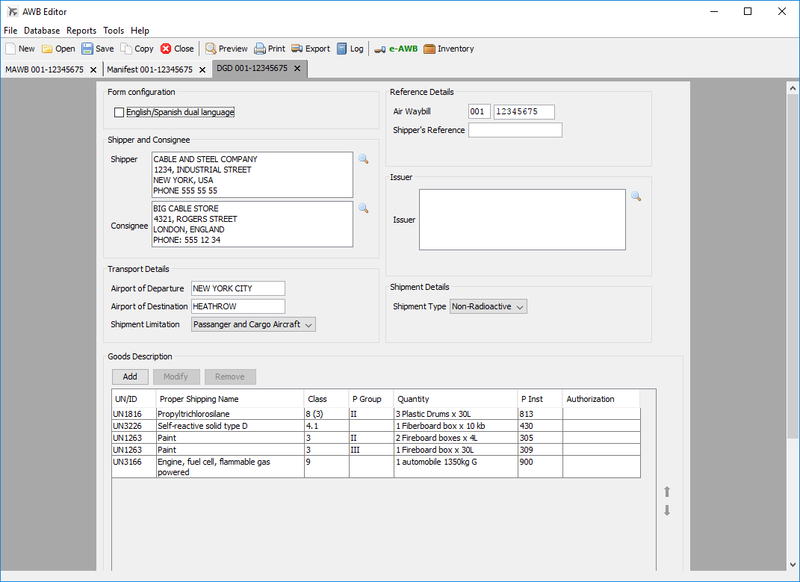 You can try AWB Editor and test all its features before deciding to purchase it. 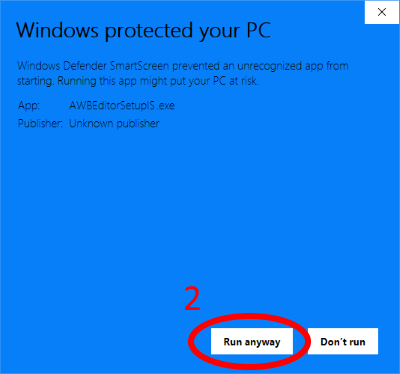 Download the installer, run it and AWB Editor will be ready to be used, no additional setup is required. View uninstall instructions here. MacOS users read this. The desktop version fees are based on the number of workstations/installations from where the program is used. Fees starting at $150/year. 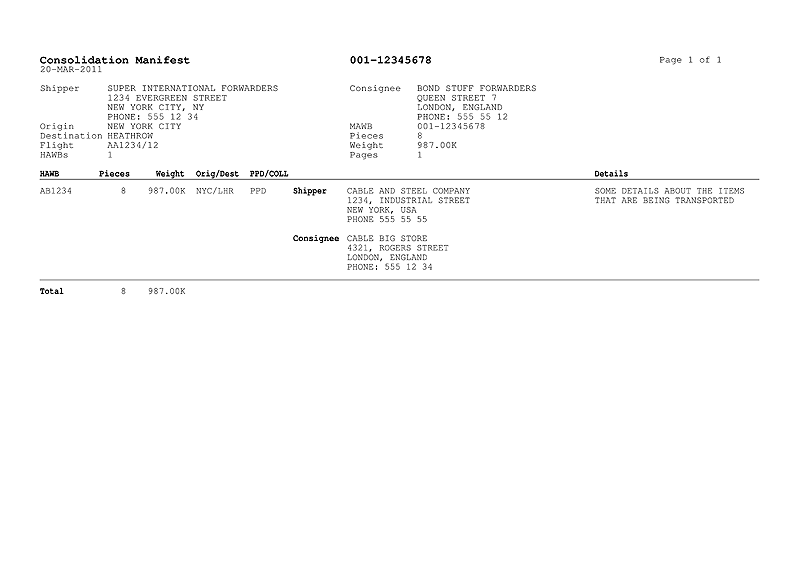 All fees are in U.S. dollars. 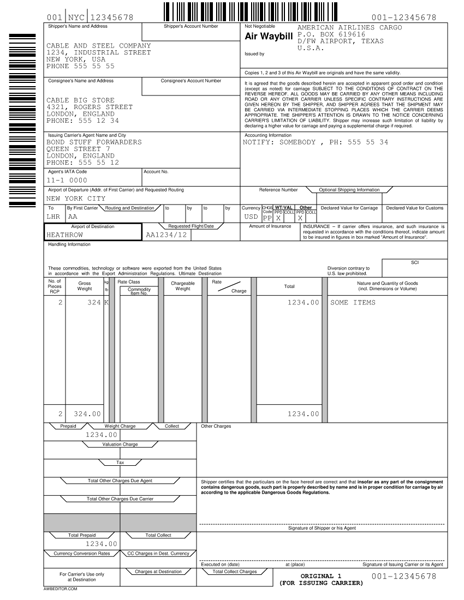 Charges apply when a document is printed or transmitted, document may be re printed or re transmitted without generating additional charges. To purchase Web AWB Editor open the web application and then click on the purchase link on top, or go to Configuration ⇾ Billing. All fees are in U.S. dollars. 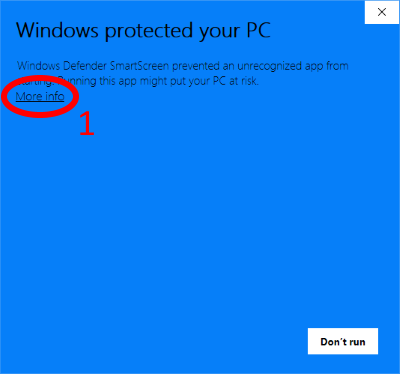 When trying to install AWB Editor you may get a warning from the Windows Defender SmartScreen saying that the app is unrecognised, to continue with the installation just click on "More info" and then "Run anyway"